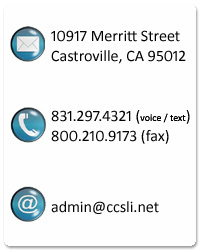 Contact CCSLI for All Your Interpreting Needs! Got any questions or feedback? We'd love to hear from you! Submit your comments here. If you need an interpreter, please use our Interpreter Request Form. Yes, please add me to the CCSLI mailing list!